At Specialized Electronic Services, we are one of the largest Saftronics Sales, Service, start up and Official Warranty Centers in the Texas, Oklahoma region. We are experts in Saftronics Drive repair. 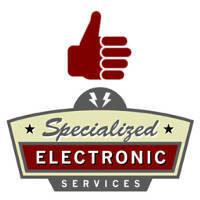 We can sell, service, and repair the entire Saftronics product line. We have extensive experience in the repair, retrofit, start-up and sales of all Saftronics products. Below is a partial list of the Saftronics units we have worked with. Saftronics was purchased by Control Techniques and we are an official service center for them as well. We are constantly working with the Saftronics Factory to ensure our technicians, engineers and programmers are well versed will all Saftronics products in their AC drive, DC drive and Softstart product lines. Be sure to contact us for any application, sales or service questions you may have. We have Saftronics AC drive and DC drive sales often so call us to compare pricing if you feel you have been paying too much for your drives or soft starters. We have some stock in Florida, Texas and New York so Call and ask for sales at 1-800-681-7374. Below is a list of the Saftronics AC and DC drives units we for sale. The Saftronics drives listed below are obsolete and when the stock is sold out no more will be built to replenish the stock. We have the ability to fix them in many cases still and if they are not fixable we can retrofit your obsolete unit with the current modern equivalent unit. We are constantly working with the Saftronics, which is now owned by Emerson to ensure our technicians and programmers are well versed in the newest Saftronics AC and DC drives. Be sure to contact us for any application, sales or service questions you may have. Call us to compare pricing if you feel you have been paying too much. Call and ask for sales at 1-800-681-7374. We may have a Saftronics ac drives manual, or a Saftronics ac drives technical handbook, or a Saftronics ac drives technical guide book. Call us today!